Posted on April 7, 2015 August 30, 2016 by Daniel L Friedman,M.D. and Eugene B Friedman, M.D. by Daniel L. Friedman, M.D. and Eugene B. Friedman, M.D. Central London’s Bow Street was the birthplace of what was to evolve into the Metropolitan Police Force. Its Magistrates’ Court was a glowing departure from the apathy and corruption so prevalent and dominant in the latter half of the 18th century. The Bow Street Magistrates’ Court officials’ initiative and example paved the way for the modern urban police force.Up until the time of the riots of 1740, London’s only two agents for maintenance of law and order were its citizenry and England’s military. Even though King Charles II had established his Night Watchmen patrol a century before, that organization was so cowardly and ineffective that the populace dubbed it with the demeaning “Shiver and Shake.”Things changed when Colonel Thomas de Veil was appointed to the Magistrates’ Court on Bow Street. He took the enforcement of the rules and regulations of his jurisdiction into his own hands by standardizing his interpretation of them in his “Observations on the Practice of a Justice of the Peace: Intended for Such Gentlemen as Design to Act for Middlesex and Westminster.” De Veil won over the public’s approval and solidified both his own prestige and the court’s when he single-handedly held off a gang of thugs who were trying to separate him from his meeting room key. Armed with just a pistol and a blunderbuss, he warded the hoodlums off until the cavalry came and placed these unwanted visitors under lock and key! A few years later, the colonel handed the reins of the Magistrates’ Court over to none other than famed novelist and satirist Henry Fielding.Fielding knew that in order to perpetuate de Veil’s success, it was absolutely necessary to install a permanent staff. That way, there would be no need to rely upon “fair weather friends” who might panic and desert when things got tough. His employees became known as the Bow Street Runners because of their ability to get to crime scenes so quickly. They soon gained the public’s respect and earned the fear of the district’s criminal element because of their success in preserving the peace and in preventing crime. Although they were uniformed in blue dress coats with copper buttons, it was their red waistcoats that stood out and earned them the nickname Robin Redbreast. Despite having to cope with a stipend of a mere £400, Fielding and his “thief-takers” were able to break up one of the largest criminal organizations in all of London. It was this elite squad within the Runners that was the precursor of Scotland Yard’s Criminal Investigation Department. During his short but significant tenure as magistrate, Henry Fielding “planned reforms; strove hard to check the disorders of the streets; captured thieves and highwaymen, and was indefatigable in examining malefactors at his house in Bow Street.” He also ensured his legacy by publishing pamphlets on the notable cases in which he had been involved and made sure to glorify the feats of the Bow Street Runners in his novel Jonathan Wild. Upon his retirement, he called on his half-brother, John Fielding, to carry the torch. Even though the £400 endowment was not increased, he was able to maintain the first-rate “thief-takers” unit, which was soon to have the official title of Patrol. Although he was legally blind, John Fielding’s other senses were especially acute, and his ability to get accurate information from interrogated witnesses and criminals earned him a well-deserved reputation as a singularly prompt, vigorous, and successful magistrate. He carried out his brother’s agenda of destroying the ability of gangs to function, abolishing begging and streetwalking, and erecting barriers at “flash houses,”, the establishments where would-be thieves rendezvoused to dispose of their stolen property. Prior to Fielding’s term in office, it was the magistrate’s responsibility to react to crime and to mete out punishments. Fielding revolutionized things by insisting that the role of the magistrate was not solely to respond to and react to already completed nefarious activities. Rather, it was also to anticipate and, in the process, prevent criminal activity. His method of dealing with the highwaymen who targeted mail coaches was to establish a network of mounted informants who relayed written messages back to Fielding’s Bow Street office. These men on horseback also admonished all publicans, stable helpers, and turnpike keepers that it would be quite foolhardy to harbor any fugitives whatsoever and/or to supply them with horses. Nevertheless, the mounted Patrol was disbanded after Fielding’s retirement for lack of funds, and it would be almost a half-century before it would be reinstated. Another of John Fielding’s salient contributions was the publication of a magazine dedicated to police matters, e.g., accounts of crimes committed, descriptions of stolen goods, and names and pictures of suspected and escaped thieves. Originally called The Quarterly Pursuit, the publication’s name was changed to Hue and Cry by Fielding’s successor, Sampson Wright. Eventually, this periodical morphed into The Police Gazette, which, to this day, is published by the Metropolitan Police Force. When, in 1792, Parliament formally established seven police offices, Bow Street became the natural hub for all operations and, unlike the other branches, its territory remained unbounded. It became the template for the Special Branch of Scotland Yard, and unlike the other six offices, its heads and directors were granted permission not only to arrest, but also interrogate any prisoners brought in by its officers. Due to its hegemony in police affairs, Bow Street was able to establish a hierarchal system that trickled down into the Metropolitan Police Force. 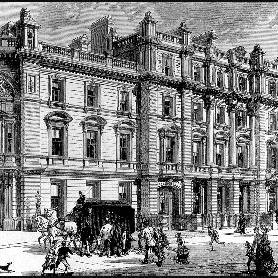 After having gone through a rough and tough selection process at the Bow Street division, those who met the rigorous standards were trained to know all the nuances of dealing with the residents of each of the city’s districts. Each officer was provided with a small printed book, one that contained all of the force’s regulations and protocols, and only when the member of this exclusive division was deemed ready was he sent out on patrol. If he proved to be a worthy patrolman, he might be promoted to conductor and, if he were outstanding, he might attain officer rank. All members of the Patrol were meticulously managed and scrutinized. This internal affairs division developed into the Scotland Yard Professional Standards Department. If a patrolman were to break any rules, his punishment was either suspension without pay or, in rare cases, dismissal. In 1829, when Home Secretary Robert (Bobby) Peel officially established the Metropolitan Police Force, he owed a debt of gratitude to de Veil and to the Fielding brothers for providing him with the framework for an institution that became an exemplar for the rest of the world. Fifty-nine years later, the Metropolitan Police Force would be charged with one of its most difficult assignments ever: that of identifying and bringing to justice the notorious Jack the Ripper.